Version 3.2 for Euro Truck Simulator Game 2 version 1.22 (32bit or 64bit). This mod adds the Brazilian map to the original ETS2 map. Cel. Lively, São José do Rio Preto, Uberlândia, Londrina, Camberley, Rolândia, Macaé, Campos dos Goytacazes and Petropolis. 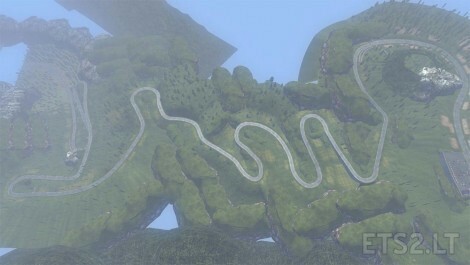 Gameplay video, a delivery from Rio to the north; to show around the map. Does crash with Promods, also with the FIX installed it still crashes. On wich order do I need to have the maps in mod manager? Yes I have same problem, it sill crashes with FIX EAA for PROMO. What is the order for it to work? doesnt work with promods even with fix. but it works with tsm,rusmap anyone knows how to fix this? and what is the priority order ? Hello. Here is a delivery completed with the map. deleted some of the ferry icons in the map. Due to prefabs changes from SCS, EAA 3.2 isn’t working with 1.23. 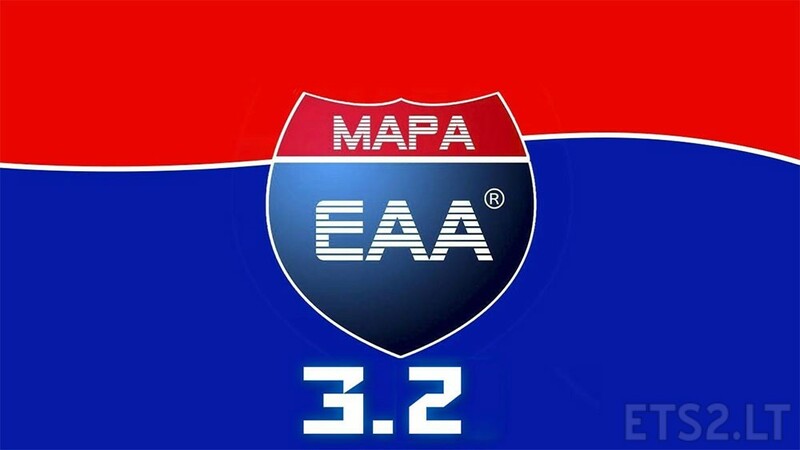 EAA Team is waiting for an answer from SCS to solve these issues, so then they will update Explorando A América map for the 1.23 version. i downloaded it for my v1.22 but the game crushed, nyone know why?